Ooops. "Emotional Fascism" was the original title of the third Elvis Costello LP, released as "Armed Forces." 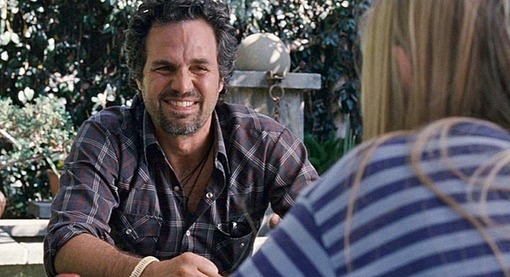 What I meant to say was that, in my final contribution to The Movie Tree House over at SLIFR, I get all emotional about Mark Ruffalo's teeth, Annette Bening's face and a lonesome cowboy who gets choked up when he calls his mom. Those would be references to "The Kids Are All Right" (again) and "Sweetgrass" (again). And I bring up the extremely mixed critical reception for "Black Swan" (which is Jason's favorite movie of the year, and one of the ten worst according to the NY Mag/Vulture critics' poll on the subject). Come see what Sheila, Jason and Dennis have to say about it all. Meanwhile, I'm frustrated to report that, because of other personal and professional obligations, I haven't yet been able to write about "True Grit" or "Sweetgrass" or "Another Year" or "Black Swan" or "October Country," which are among the more intriguing pictures I saw in late 2010 (or the first couple weeks of 2011). I met a very nice, intelligent woman (maybe ten years older than me) at a New Year's Eve party and she told me "The King's Speech" was the best movie she'd ever seen. I responded politely by showing (genuine) enthusiasm for Geoffrey Rush's performance. But I don't know what to say to something like that. I mean, I had no reason or desire to dismiss her, but it wasn't the kind of statement that calls for critical analysis, either. It was just social smalltalk. But I believe she was quite moved by the film. And, yes, there's nothing at all wrong with that. Next Article: Robert DeNiro on movies at large in the world Previous Article: Climb on up into the Movie Tree House! Climb on up into the Movie Tree House!